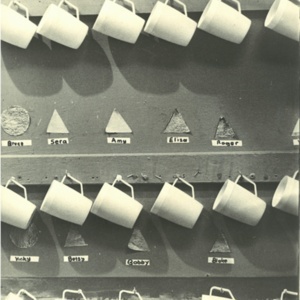 Students' cups hang on hooks in a classroom. 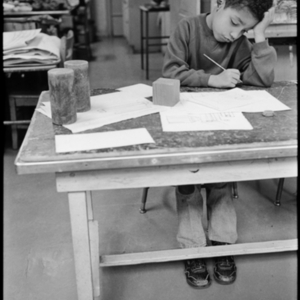 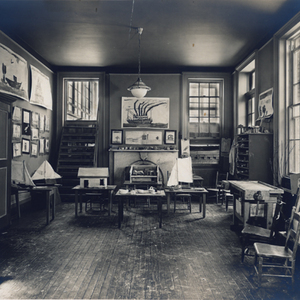 A Vs classroom filled with student work on MacDougal Alley, one of C&C's earliest locations. 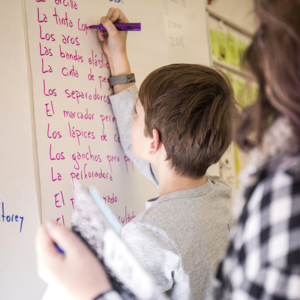 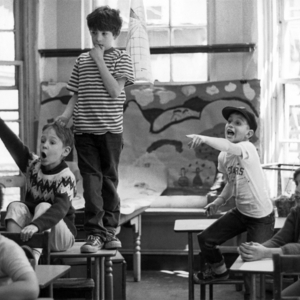 A group of students engages in a lively classroom conversation. 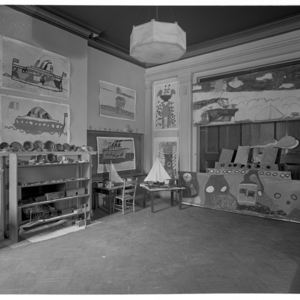 Paintings and clay pieces by children line the walls of a classroom on MacDougal Alley, one of C&C's earliest locations. 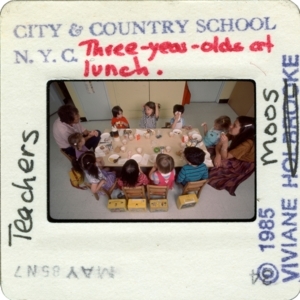 A group of IIIs eat lunch together around a table in their classroom. 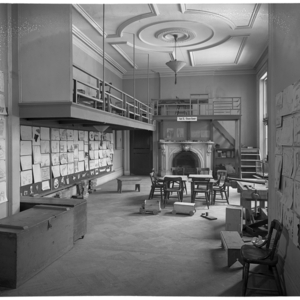 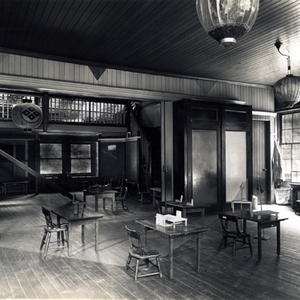 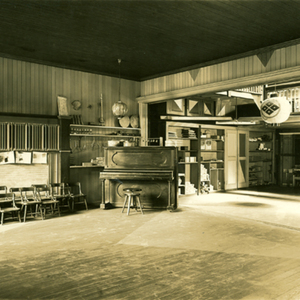 A classroom at MacDougal Alley, location of one of the early City and Country School buildings, known then as The Play School.